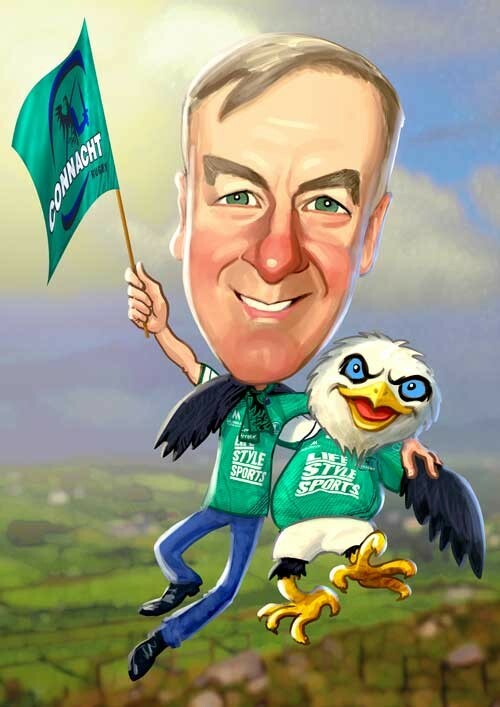 Originally from Boston with over 24 years of professional experience, Mark is now available to add fun to weddings all around Ireland! 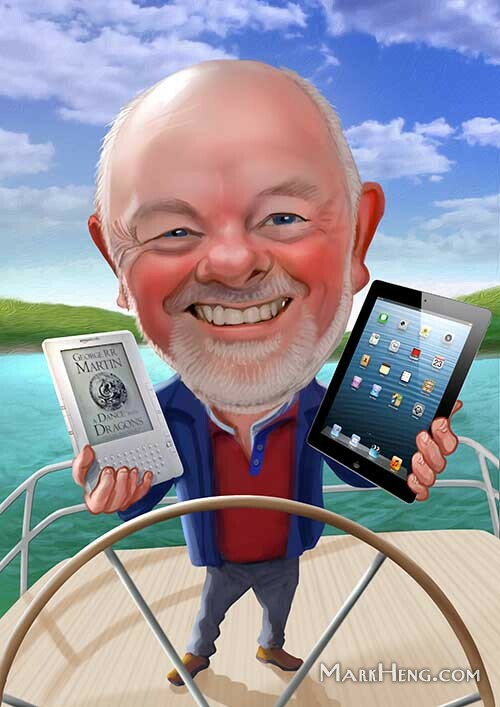 Mark will delight and amaze your crowd with his gentle humour and lightning skill with the pen, capturing great likenesses. Ladies absolutely love their fit cartoon bodies and each person takes less than 5 minutes to draw! The A3 drawing paper is printed with your names and wedding date and comes with a plastic envelope so your guests will be showing them off all night long. A lively ice-breaker that not only creates a fun atmosphere, but also doubles as a memento your guests will treasure at home. Why settle for the ordinary? 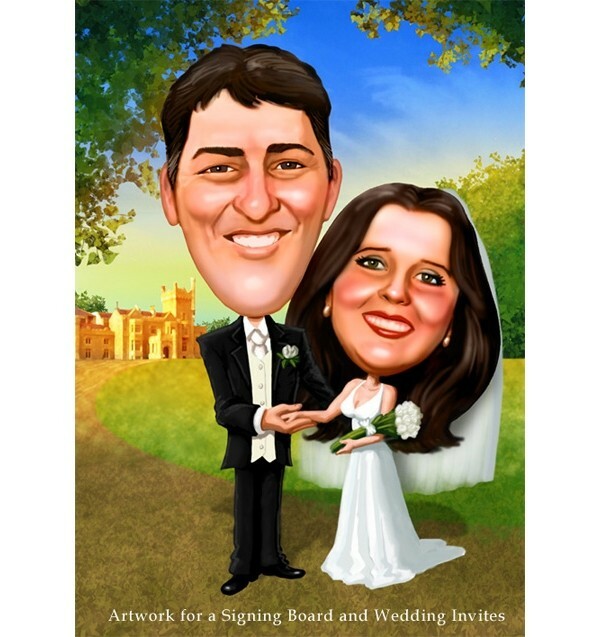 Send your invites and Thank You cards featuring hilarious caricature portraits of yourselves! Your creative ideas are welcome for cards that are truly unique. 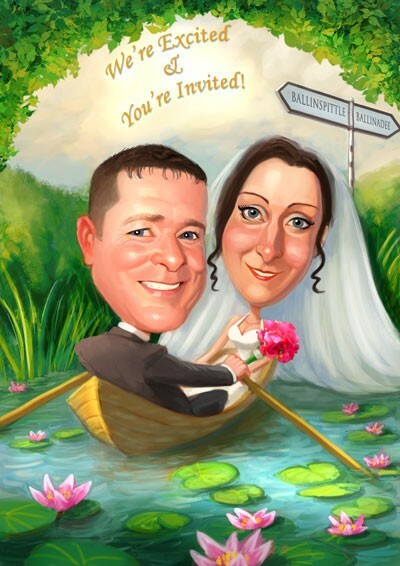 Just email a few photos and Mark creates beautiful artwork that will have your guests talking. Satisfaction guaranteed- We won’t go to print until you’re completely happy with the result! A brilliant alternative to the usual guestbook. Give your guests something to smile about during the drinks reception! 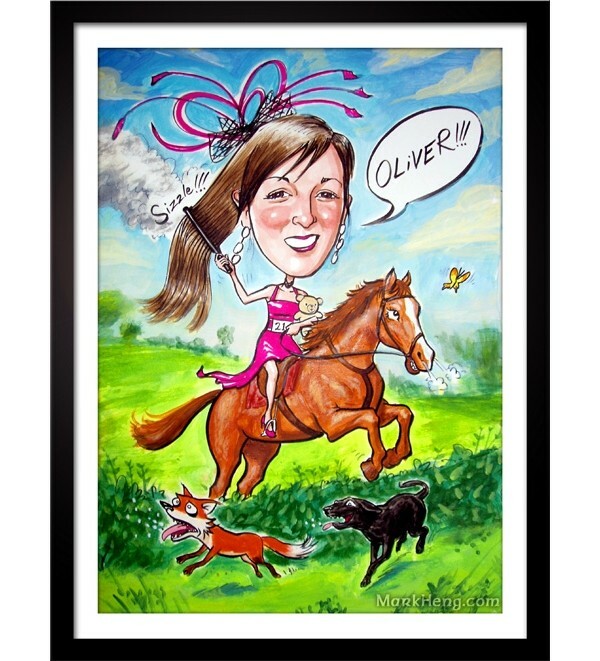 Digitally painted A3 print with a generous 15 cm matte border for your guests to sign. A lovely idea for the groomsmen, bridesmaids, in-laws, stags, and hens. 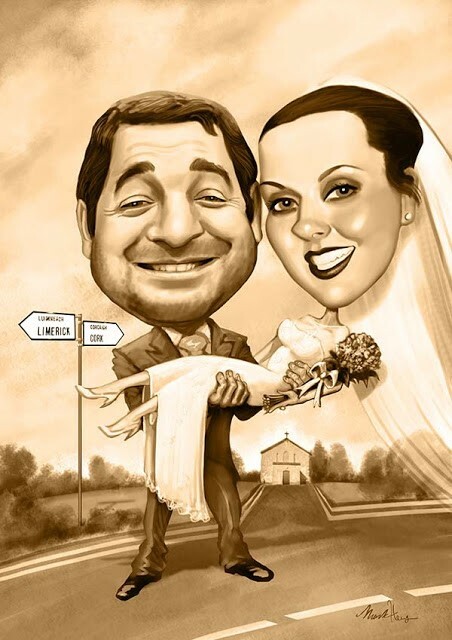 Hi Mark,just want to say thank you again for the caricature entertainment at Katie and Colm,s wedding on Sat last. It was a massive hit which everyone enjoyed and spoke about long into the night. I,m sure you have gained many new fans and hopefully some more bookings for the future will develop as a result. Kindest regards, Kieran.???????????? 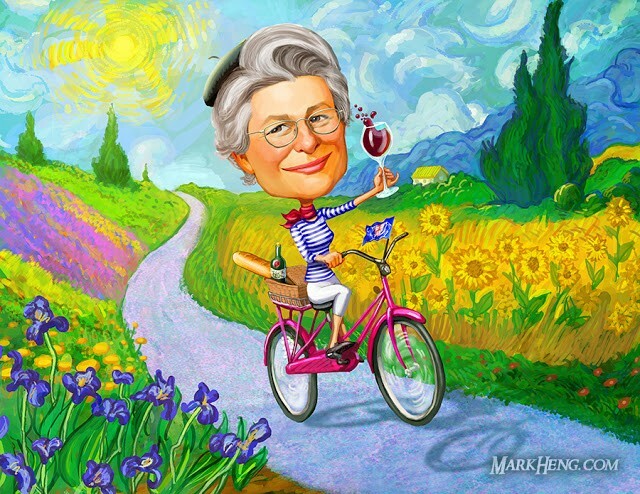 Response from Caricatures by Mark Heng- Drawing Smiles since 1990! Thanks, Kieran! It was a great crowd. 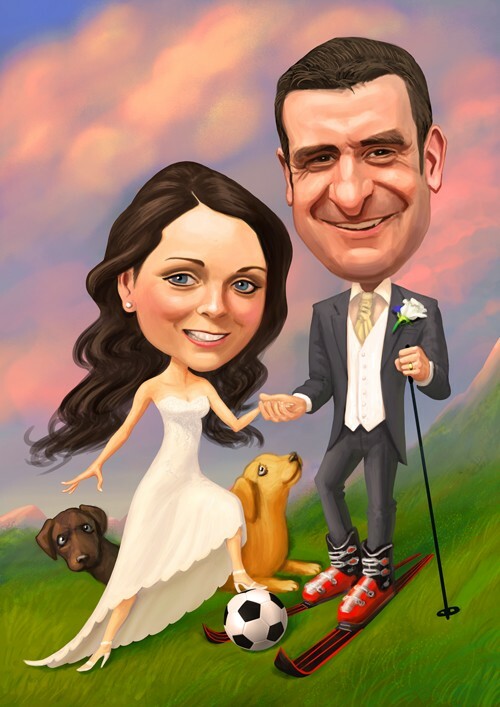 We were delighted with Mark's caricatures at our wedding! We really hoped that people would catch on to it and there was a queue for the whole night! Also very generous in staying for the full three hours despite a late start (our fault, not his!) he was very approachable and everyone seemed to enjoy the experience. His caricatures were fantastic and generated plenty of amusement!! It was something a bit different to have at the wedding and everyone was very taken by them???? Thank you, Nick and Abigail! He was absolutely fantastic. Everyone went away with a drawing. We had 22 guests who finished the meal around 6 30 he kept them entertained till after 8. He gave them all plenty of time. No rushing them. 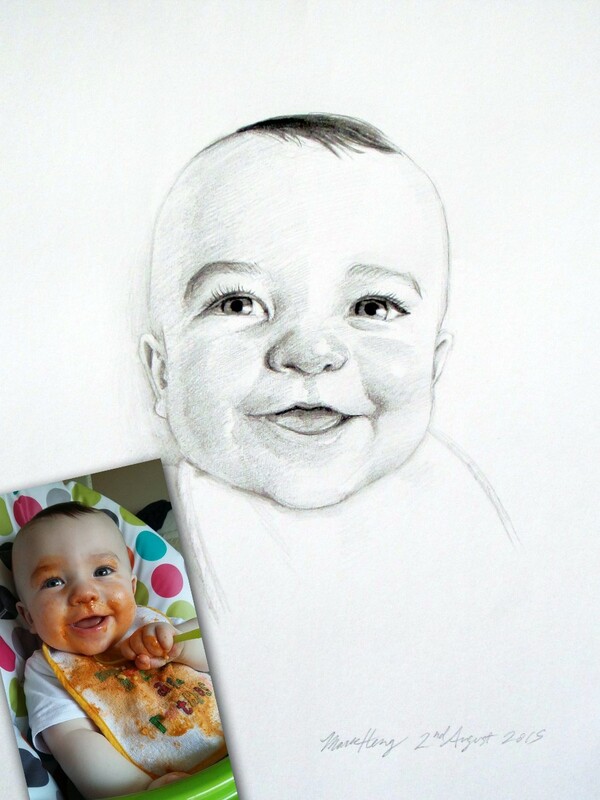 He is a gifted caricature artist. Lovely personality. Would highly recommend him. Top marks all round. Mark thanks so much, So so good everyone loved it, it was so different ???? Had so many people coming up to me with there pic to show me and so proud of them.. I no people that have them framed in there houses ???? If you are looking for that one thing that everyone is talking about months later he is your man ???? 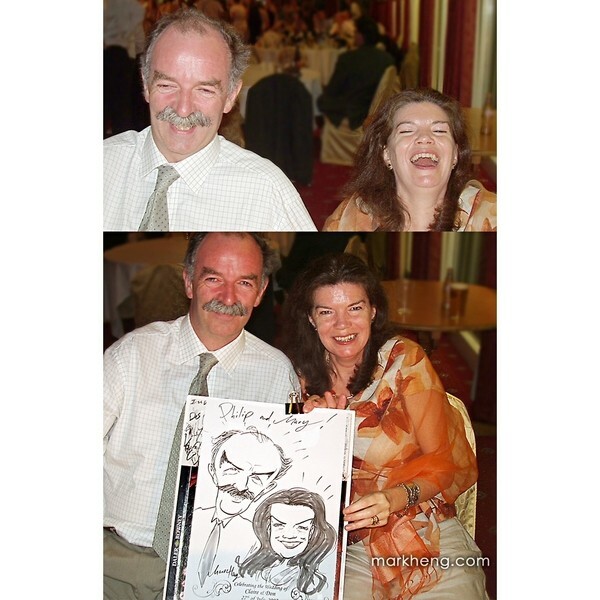 Mark was fantastic & all our guests loved their caricatures. It was great fun and everyone had a laugh. Would highly recommended Mark. Couldn't recommend Mark highly enough. He was a pleasure to deal with and an absolute professional. 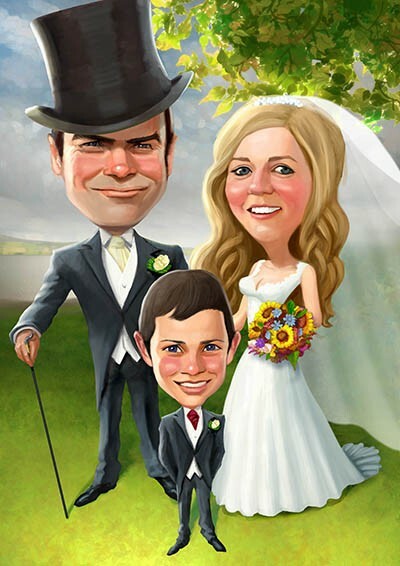 The caricatures were a huge hit on the day and are still a talking point. The quality of the drawings are superb. Its a great way to entertain guests at the drinks reception and everyone really enjoyed it. Thank you, Neil and Maureen! Mark Heng rocks! I have booked Mark for a corporate event and also for my wedding and he has been exceptional! To me, he is a genius. I love his unique style and quirkiness and as for his drawings.... amazing!! Mark is v flexible and mobile and will travel for any occasion. Very reasonable prices. To summarise, Mark Heng rocks! He is the best!! 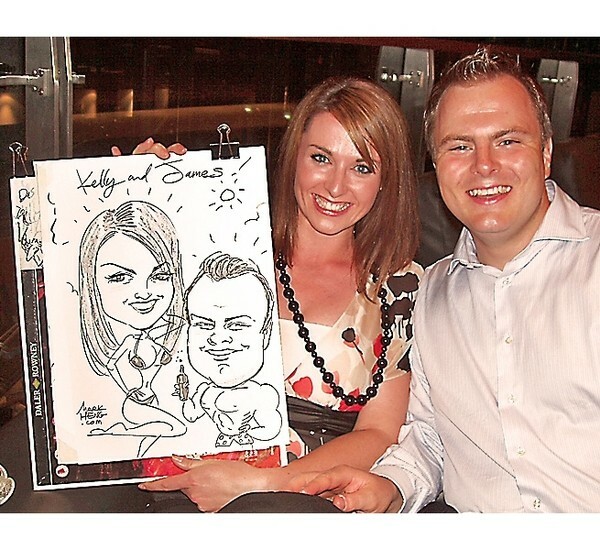 We had Mark do a signing board for our wedding and also do live caricatures at our drinks reception. Mark is really easy to deal with, and professional-booked everything through email, always prompt with responses. We had the signing board well in advance of the wedding-and Mark was happy to add little personal touches, like our jack russell in the picture. 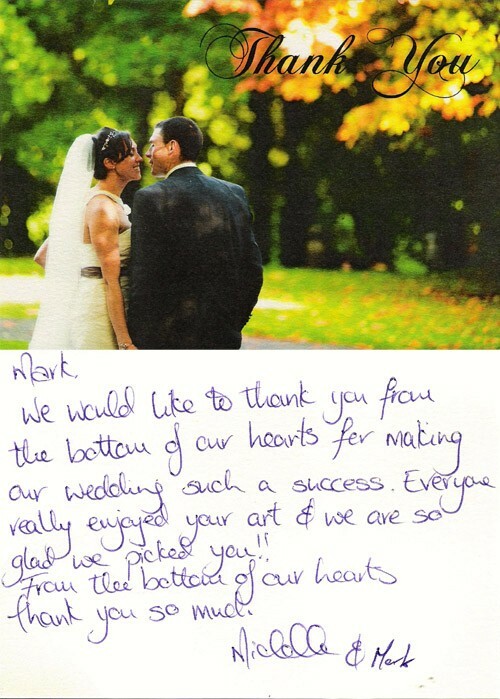 All our guests loved Mark on the day, they were raving about him! 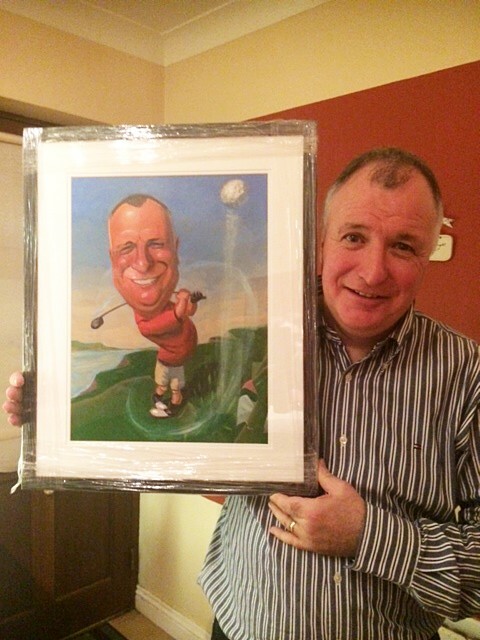 People were delighted to have a caricature to bring home with them. Would definitely recommend Mark for your wedding. Keith and I had a small intimate family wedding mid August . 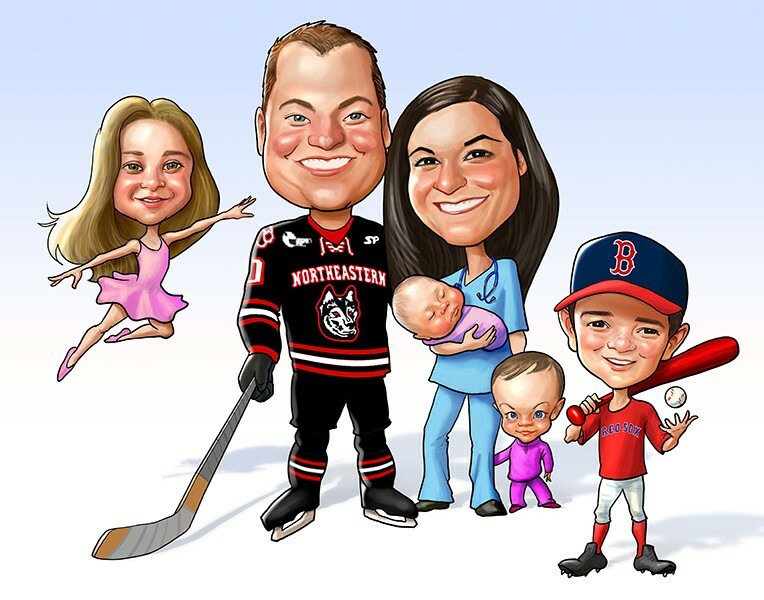 Mark's caricatures were a big hit with our guests, adults and children alike. 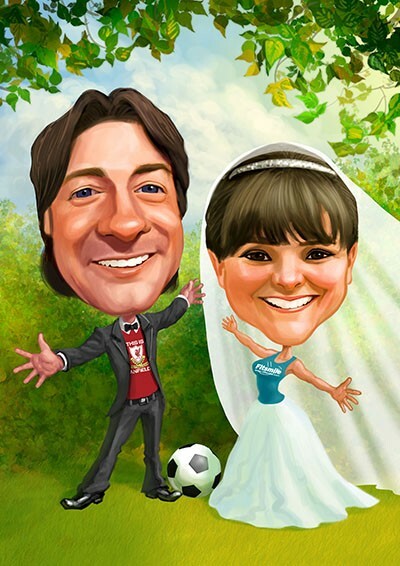 The caricatures are a novel and great keepsake of our day. Mark is a true professional to deal with and went the extra mile to ensure all guests were drawn to perfection. 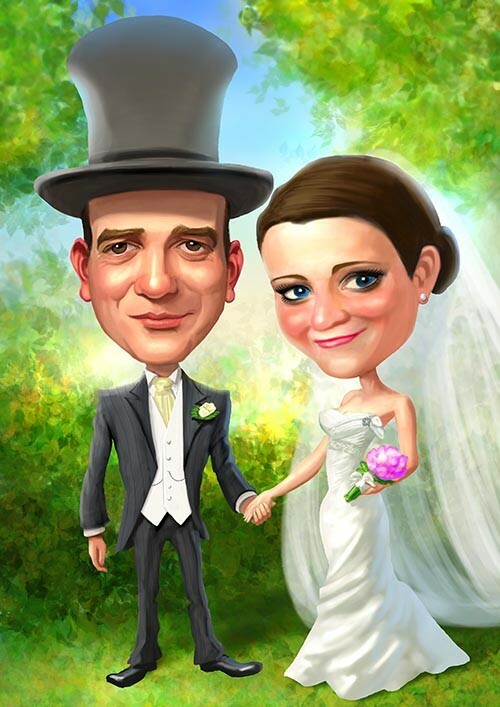 Thank you Mark for your professionalism, putting our guests at ease and drawing a particularly flattering sketch of the bride and groom. 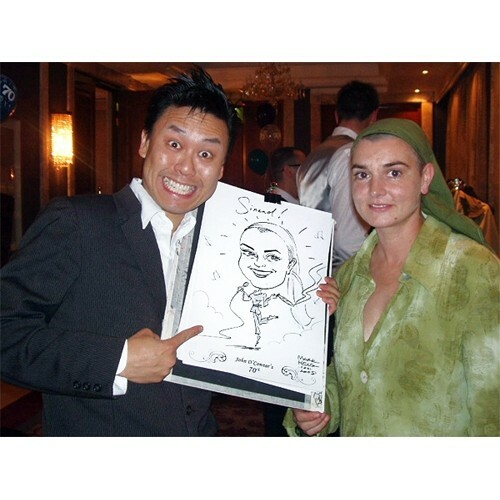 We would not hesitate to recommend Mark and his caricatures - the best entertainment ever. Mark was a true professional. 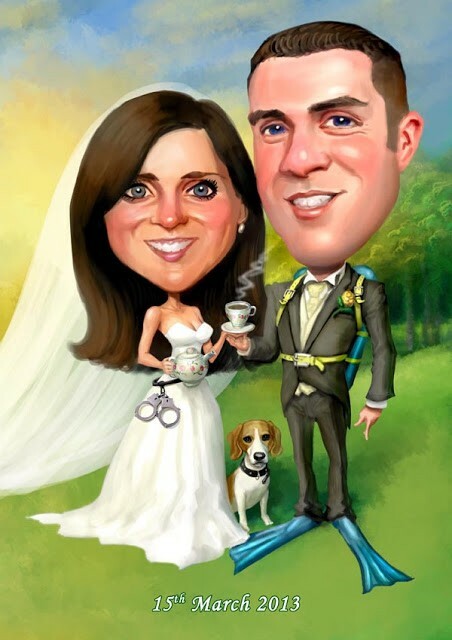 Everyone loved the caricatures and spoke about them after the wedding. We got our own one framed and have it hanging in our house. A great keepsake from our wedding. Thanks Mark! Martin and I engaged Marks Services for our wedding and found him professional and pleasant to deal with. 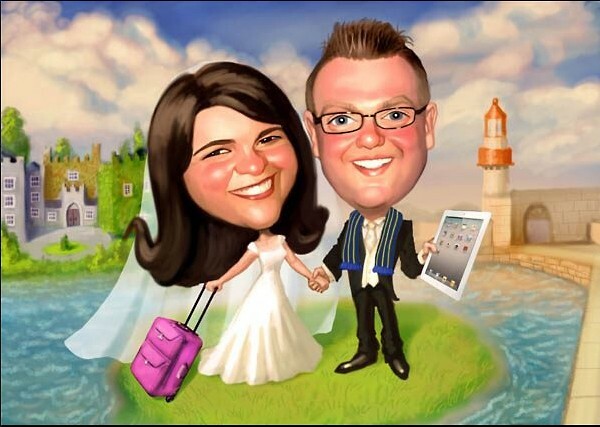 All our guests enjoyed the novelty of having their caricatures done and gifted to them in a plastic folder and dated with our names and wedding date. I would highly recommend Mark. Mark was brilliant. 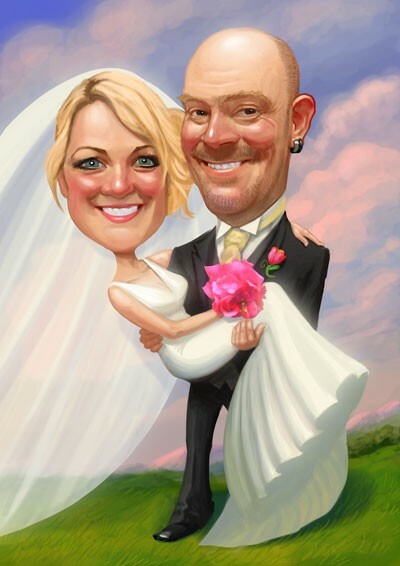 It added a fun factor to our wedding and our guests loved getting their caricatures done. Some guests have framed them and are on display in their homes. It was great fun and something a little bit different. I would highly recommend mark, if anyone is in two minds about mark I say go for it, you will not be disappointed. Thanks, Pamela- That's very flattering to hear people are framing them for their homes! 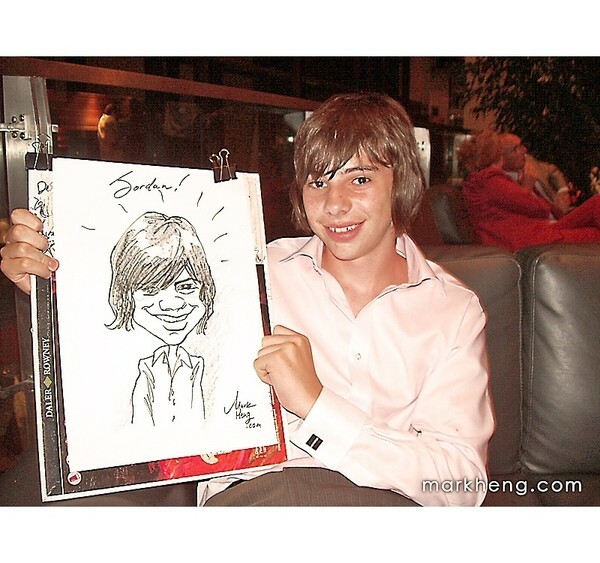 Instead of favours on the table we had Mark come and do caricatures of our guests while we were getting photos taken. He is lovely guy and very professional. Everyone loved his work! It was fun ice breaker too for our guests. We also asked Mark to do a signing board instead of a guest book. 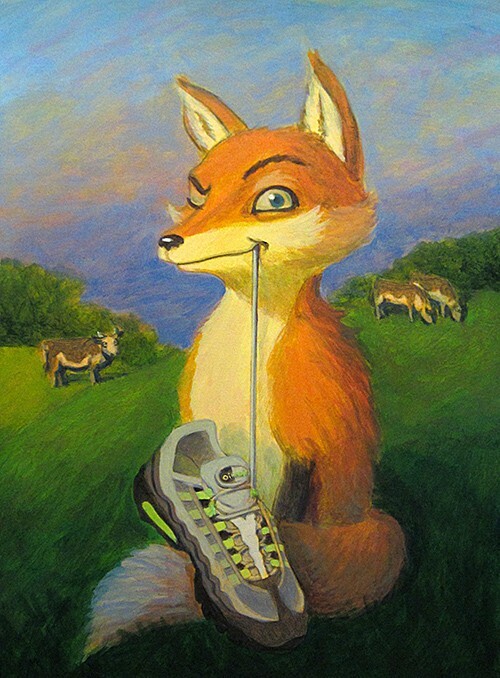 He was very patient with my requests and changes to our portrait I cant recommend him highly enough! Thanks Mark for everything! Hi mark Thank you so much, you were shamazing, I wish I got to talk to u for longer, every1 was talking bout u after, u done a great job, and I hope u get a few bookings from our wedding! 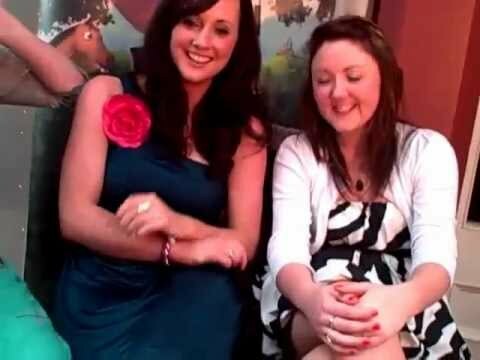 We're just chatting ere thinking of what occasion could we book u for again! On behalf of Kenneth and myself we want to say a big thank you to you. 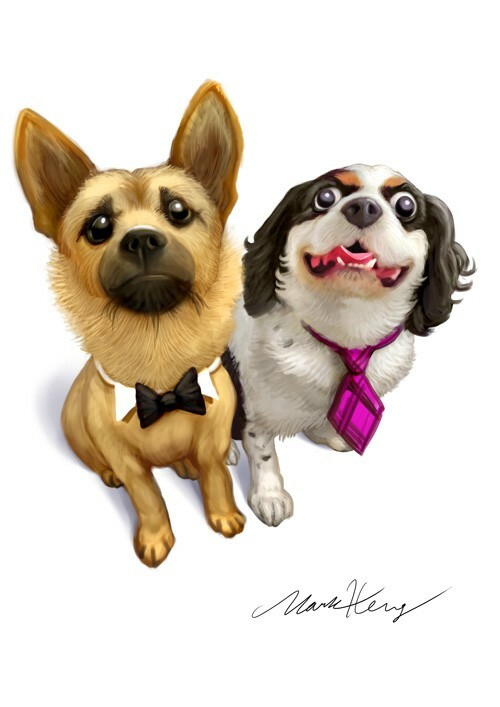 Your caricatures were amazing! Throughout the day / night guests were raving about how good you are. 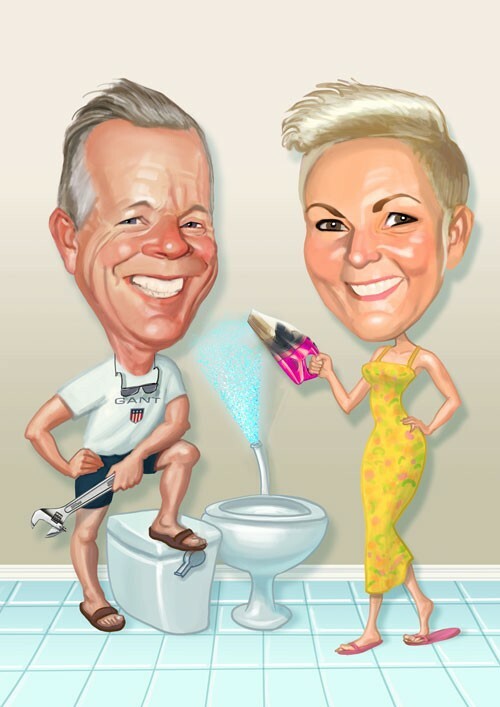 I would also like to thank you for the additional time you gave us to finish off the caricature of my friends parents, Claire & Greg. They had been in the queue for a while but unfortunately I think a family member or two of mine, skipped them..! So thanks again! They were delighted with it and have it framed and hanging in their house already! Thanks again Mark and we would highly recommend you to family and friends. Thank you, Leesa and Kenneth! 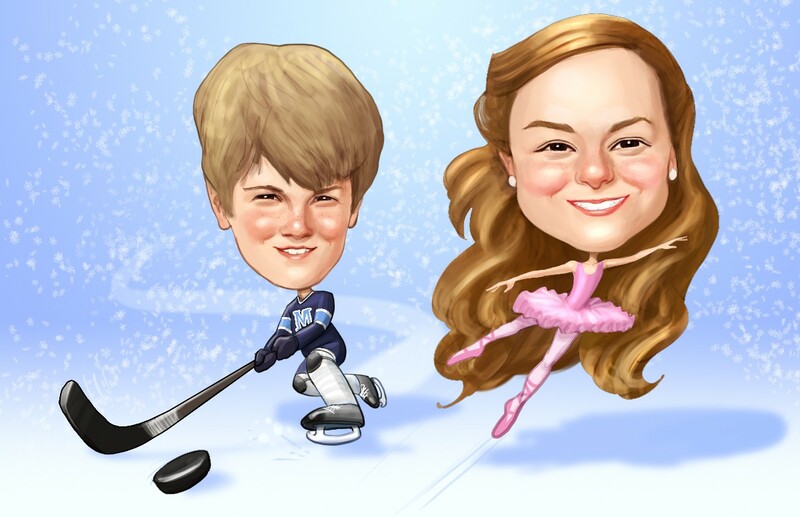 My cousin had caricatures by Mark and I have to say everyone loved it. Its beautiful artwork everyone enjoyed. This is worth every cent. Highly recommend it! 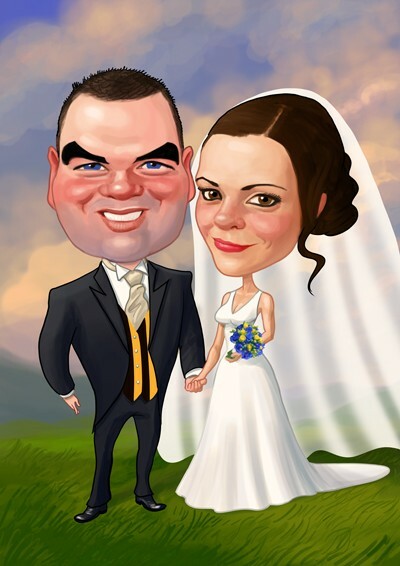 We had Mark doing caricatures at our wedding in july,and i have to say it was definatly money well spent! We got him for a double booking 3-6 & 9-12,And family,friends & guests are still talking about it.The pictures come with the bride & grooms names and the wedding date on them,so its a lovely momento for the guests to have.Young & old enjoyed it,and mark was lovely to deal with too.I would definately reccommend him. We had Mark perform at our wedding on the 18th March 2011. He entertained the guests for a few hours after the ceremony and before dinner. All our guests really loved it and thought it was a very unique fun idea! If you want to add a little something "different" to your day and give your guests an additional memento to take home, this is just the thing! Thank you, Claire and Kevin! 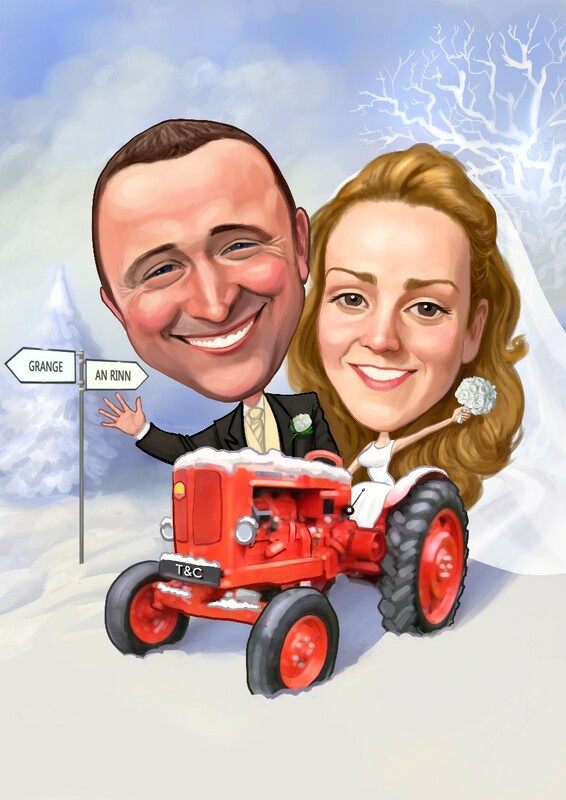 Dear Mark, Thank you so much for helping to make our wedding celebrations in Mount Falcon, Mayo in October so much fun. 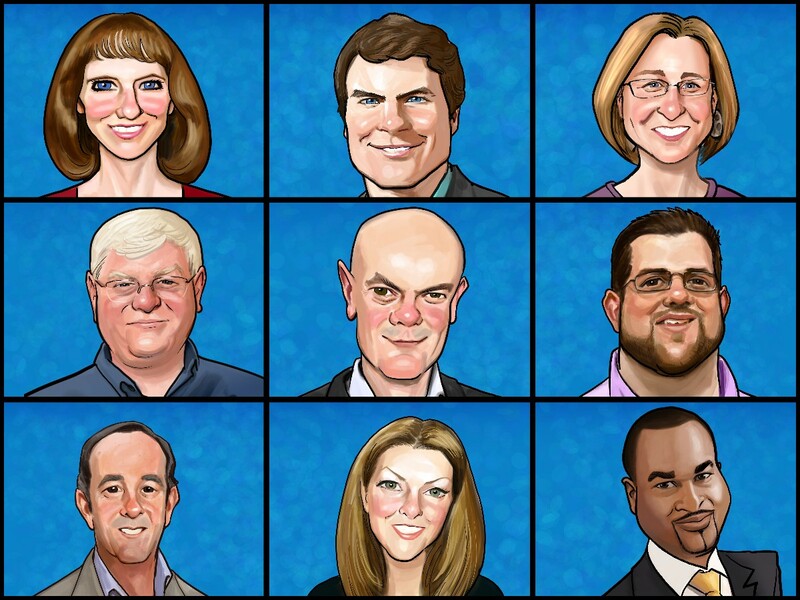 Our family and friends thouroughly enjoyed your funny caricatures and our own is now framed and hanging in our kitchen. We hope your are keeping well and wish you all the best for the year ahead. Thank you, Karina and Paul! Thank you, Paula and Michael! 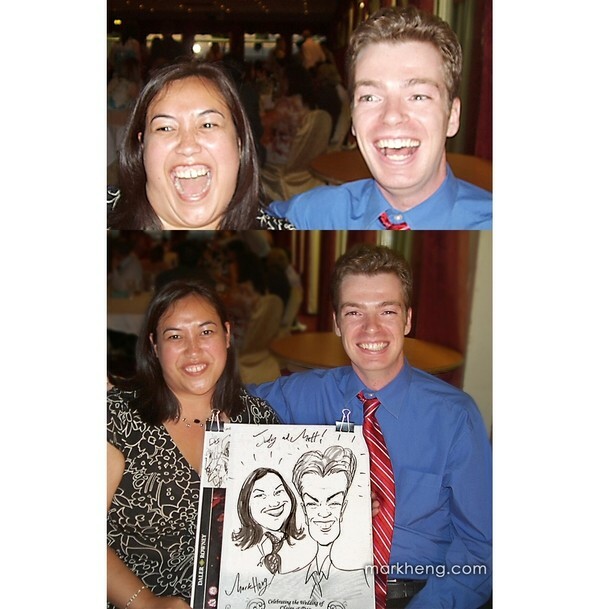 We had Mark Heng at our wedding last year and he was a huge hit. We didn't tell anyone beforehand that we had him booked, so it was a great surprise for everyone. I was a bit unsure on whether or not people would go over to have a drawing done, so we asked one of the groomsmen to go over as soon as he started. Loads of people went over to have a look and then of course wanted their's done so Mark was kept busy for 3 hours. He started straight after the speeches and continued for about 3 hours (while the band were playing). It was a great way of getting the crowd to mix because everyone wanted to show off their drawings. Loads of people have had their drawings framed and have them hanging up in their homes, so I definitely think it was a good idea. 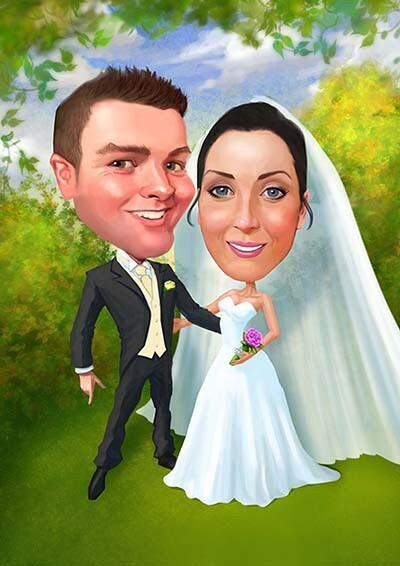 "Hi Mark just a quick note to thank you so much for drawing at our wedding at the Rochestown park hotel our guests had so much fun and they were raving about how good you were ..... Thank you so much I couldn't recommend you highly enough x x x"